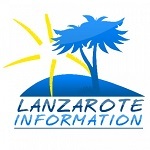 Local brief news from Lanzarote in February 2019, including more parking for Puerto del Carmen, European Space agency on the island and more. Caroline Johnson has been missing in Lanzarote since Saturday 26th January. Her family are appealing for anyone who may have seen her since. Explaining the different types of document foreigners living in Spain should have, from the incorrectly named “residencia” to the one nobody can pronounce! British writer Larry Yaskiel, who has lived on the island since the 1970’s is launching his book, The British Connection to Lanzarote. Lanzarote’s Sun Park Living appeared on the BBC Rip Off Britain Holidays this morning. Here’s a synopsis of what the programme covered. In brief news this week, chatbots, the earthquake, new pontoons in Orzola, possible new swimming pools in El Golfo and much more. Buena Vida is a stunning villa in Puerto Calero, featuring 4 bedrooms, all with en suite bathrooms, private heated pool and hot tub.